TIN SHED scenery builds for a wide variety of companies working in theatre, film, television, events, installations, exhibitions and schools. TIN SHED consists of a group of talented freelancers who bring specific skills to each project to complement the core team, lead by James Lewis. This includes carpenters, metalworkers, scenic artists, electricians and many other very skilled people. We also have strong relationships with other technical companies who we will outsource work to when specific processes are needed. We often work with companies from the initial ideas of a project through to the opening night; designing, building and occasionally touring the production. This helps in many ways but most importantly it gives us a complete understanding of the production and how the set design and construction fits into the show as a whole. Being part of the process from start to finish allows TIN SHED greater certainty in delivering the design and final product on time and on budget. The company has experience of the rigours of festivals and international touring and understands implicitly that the construction of a set is as important as the appearance. Based just two minutes from junction 7 of the M3, near Basingstoke in Hampshire, we are ideally placed to work with a wide range of projects across the south and south west of England. 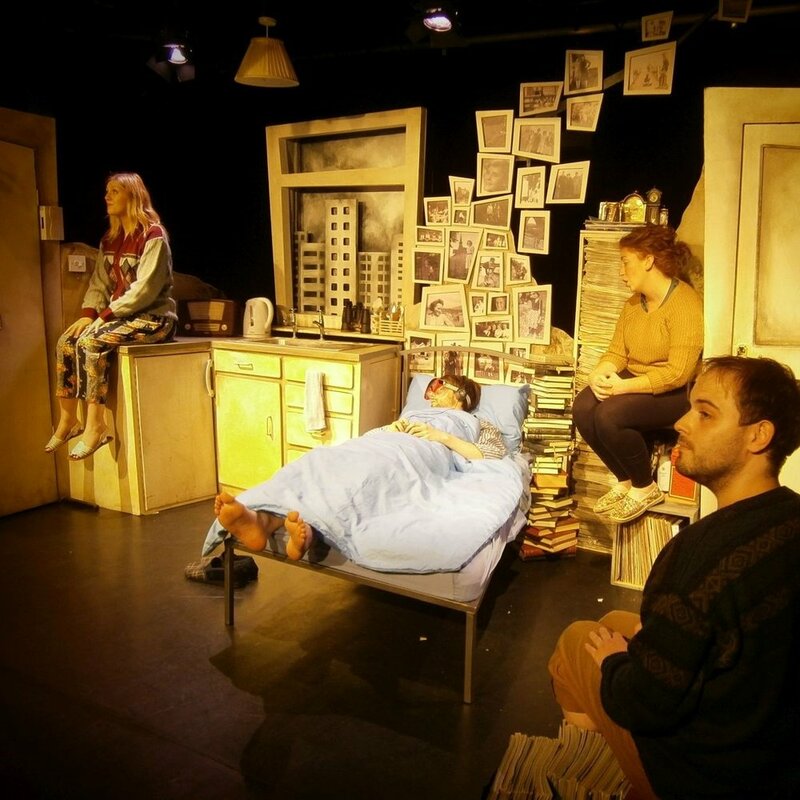 Saying that, recent TIN SHED productions have been performed in London’s West End and other London venues, as well as venues in England, Scotland, Wales, The Edinburgh Fringe Festival, New Zealand, Greece, Armenia and at The Sydney Opera House, Australia. 50 years after his death, Stevenage Arts Guild, supported by the Heritage Lottery Fund, celebrate the life and work of the town’s forgotten son who became a radical and visionary theatrical pioneer. This project culminated in the exhibition at Stevenage Museum opening , a new website and educational resources. The project was managed managed by Andy Purves. The Projection space was designed by James Lewis and built by TIN SHED scenery. The show ran at the Science museum for 6 weeks and was followed by a UK Tour. Originally Commissioned by Lyric Hammersmith, Watford Palace Theatre, Greenwich and Docklands International Festival and Latitude Festival. Supported by Natural History Museum, Arts Council England, Arlington Arts Centre, Central Studio, Corn Exchange Newbury and Field Trip.